The perfect choice for the man seeking a contemporary wedding band or fashion ring that is as symbolic as it is handsome. 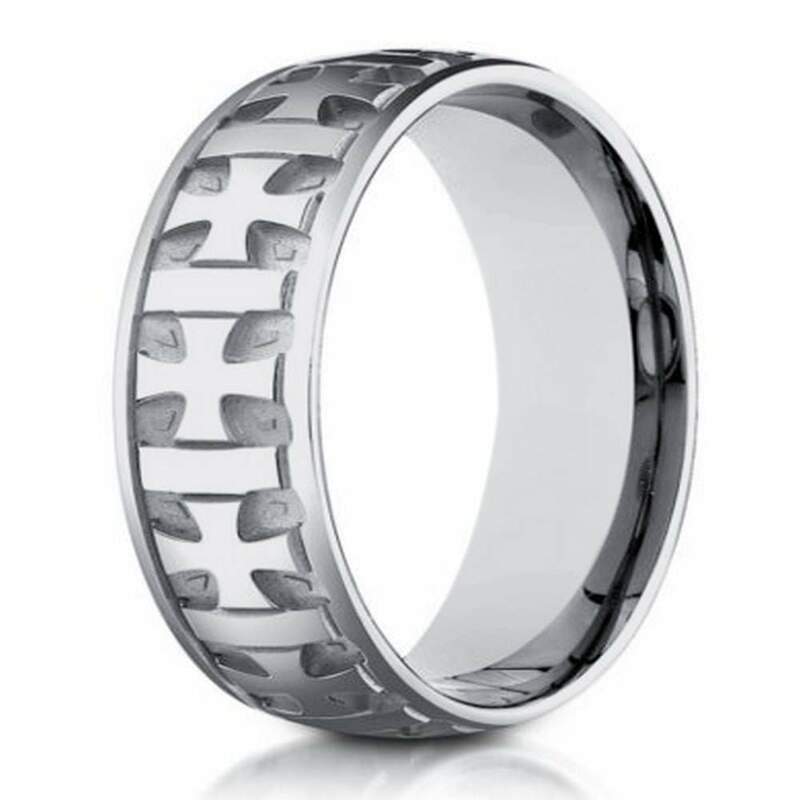 This 18K designer gold wedding ring for men has gleaming Gaelic crosses against a brushed finish background carved eternity style around its band. Made of classic 18K white gold, polished edges are an apt final touch to this 6mm comfort fit band. Comfort fit rings usually measure 1/2 size smaller due to the additional metal inside the ring. We recommend having your finger measured for a comfort fit ring at your local jewelry store.